The Dunlop Fort All Court tennis balls incorporate the Dunlop HD Core technology providing enhanced durability and great visibility. They are suitable for all levels of play on all court surfaces and offer a fluoro cloth hi-vis finish. The balls are ITF (International Tennis Federation) approved and come in 3 cans of 4 balls. 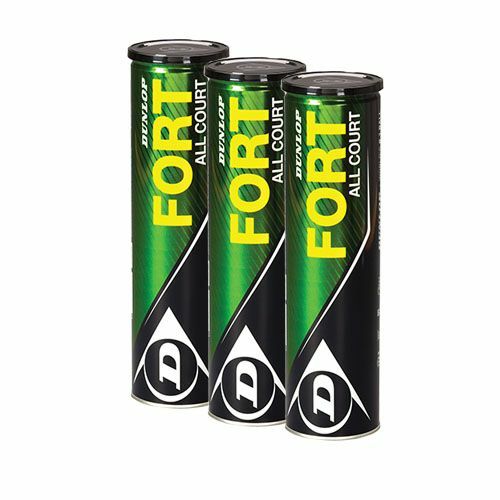 for submitting product review about Dunlop Fort All Court Tennis Balls (1 dozen).